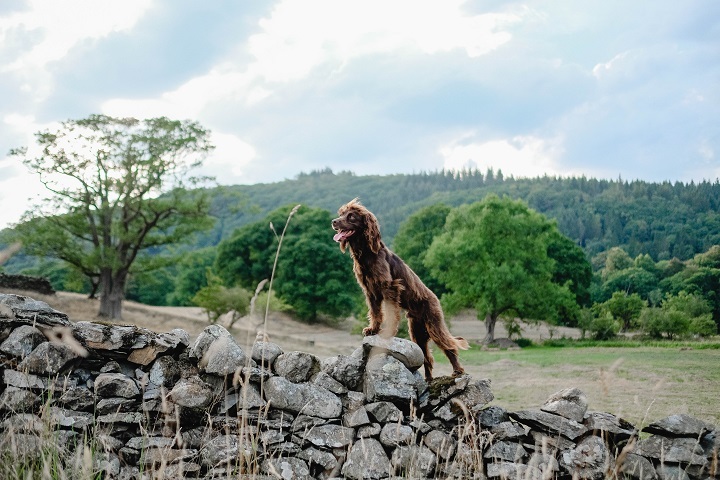 The last of the "Haven Director of Walkies" trips is here, with five locations explored and visited, it's time for the last Dog Friendly Guide to The Lake District. Although the weather wasn't on side (constant downpours!) The Lake District is somewhere that's been on the list to visit for so long, we already can't wait to go back and see more of it. The first evening of our trip managed to show us with sun rays and a gorgeous sunset, just in time to find something to eat. The Swan Hotel is open to non residents, and is located on the Southern tip of Lake Windermere. The outside area is stunning with pastel furniture and the sound flowing water, the food is great and much needed after a long travel day. On the banks of Lake Windemere is Fell Foot Park, a stunning open space for walks, picnics, water sports and more. The meadows allow dogs to be off lead, whilst the park itself is gorgeous overlooking the people kayaking, and dogs paddling in the lake. Another gorgeous National Trust area, that climbs high and over looks Ullswater. The woodland areas twist and turn with some steep and high climbing steps to get to see the stunning waterfalls. 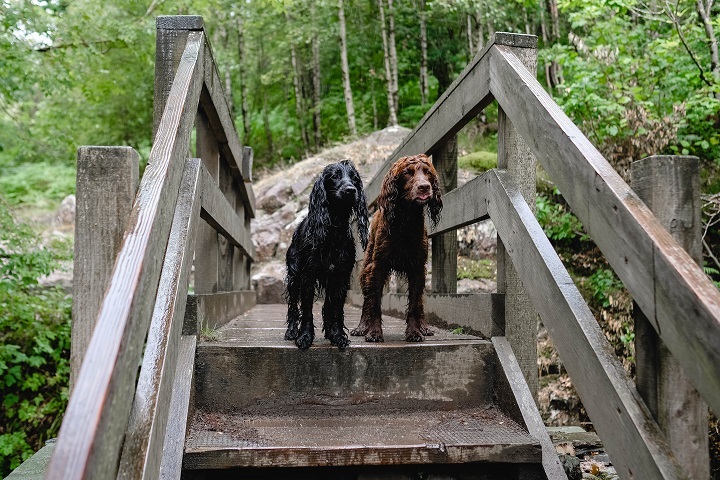 High and low we walked, and Sev and Lily loved splashing through the puddles and ponds at the waterfalls base, there were times that lead walking was needed due to the drops and cliff edges. 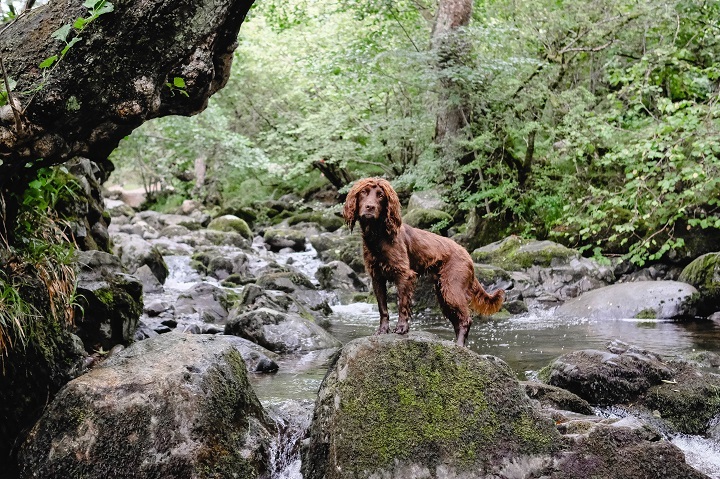 This was such a gorgeous walk and great to experience on a dog friendly guide to the Lake District. After visiting the Waterfalls, hearing about the cute cafe on the Lingholme Estate, the Lingholme Kitchen, making the short drive. 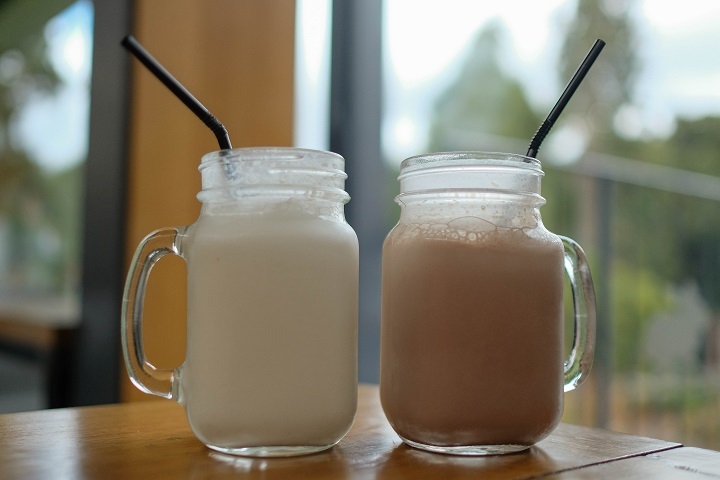 The Cafe welcomes dogs and offers milkshakes, cakes and pastries, or bigger dishes for lunch, it was a great place to stop. The walled gardens were lovely, even on a drizzly day and a small walk down to the lake made it the perfect visit. On the way home we stopped at Kibble Bakery, a dog friendly Instagram dream cafe, that serves a dog friendly menu too. 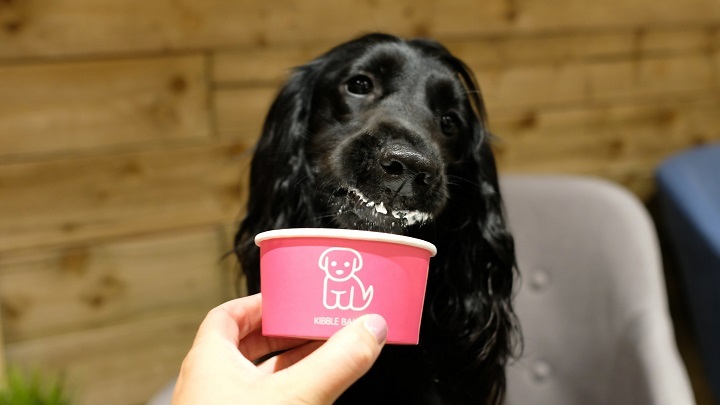 The cafe is sweet, with plenty of seating, and of course welcomes pooches and offers a full dog menu of drinks, cakes, main meals and desserts. 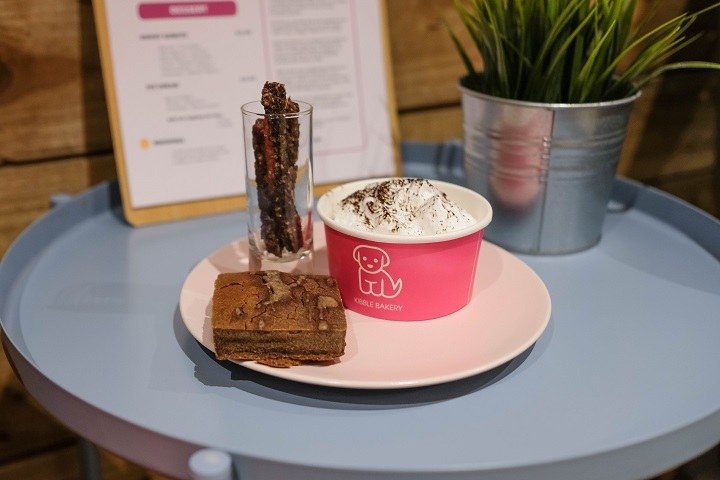 Trying out both human and hound menu, and enjoying the wonderful atmosphere, Sev and Lily had the best time and gave the treats 5 paws out of 5. 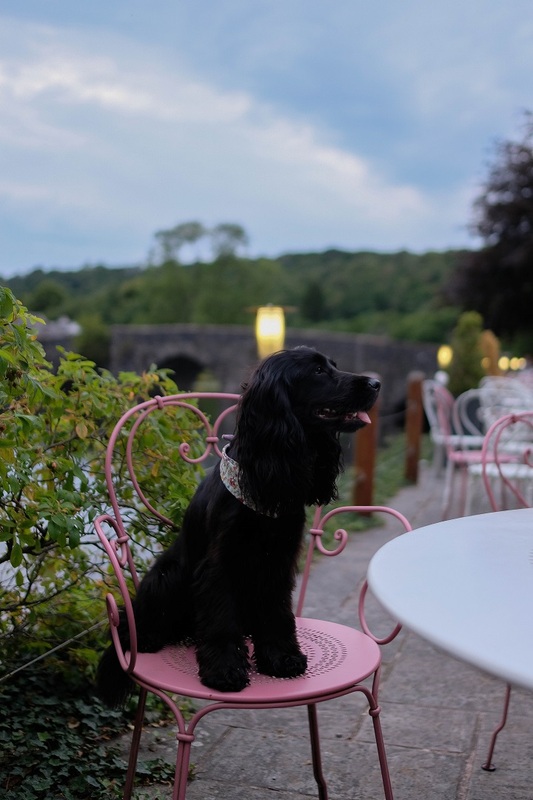 Lakeland Haven Park is a lovely leisure park located near Windermere, so a great base to showcase the dog friendly guide to the Lake District. The park itself offers lakes and water sport activities, and the dogs felt most welcomed.